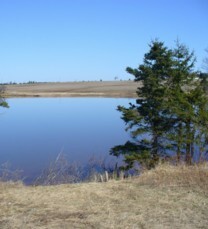 The Upton Farmlands Preservation Network is currently in consultations with the Canada Lands Company, the City of Charlottetown and the Province of Prince Edward Island concerning the fate of the Upton Farmlands. To that end, we developed the following position paper. We would appreciate your input. Background and Sources: The Upton Farm Preservation Network (The Network), started with a petition signed by over 2000 people, is a loosely organized association of individuals and like minded organizations. The Network Steering Group meets regularly and maintains a website to exchange ideas, share support with potential stakeholder organizations, and the membership participates in official fora at any appropriate opportunity. The following basic requirements to guide development toward a preserved and accessible Upton Farm natural area have been put forward by those individuals, interest groups such as Island Trails, The Island Nature Trust of PEI, The Federated Women’s Institute of PEI, Friends of the Farm, PEI Shellfish Association, and endorsed by the City Council of Charlottetown and the Parks and Recreation Open Space Master Plan, by EDM Consultants, the Government of PEI, and all four political parties in PEI. The Network representatives will reference those ideas and resources consistently to guide their own proposals and as a framework for testing those of others. The property, of approx. 250 acres, lying both north and south of the Trans-Canada Highway, where it crosses the North River, must and can serve many uses. 1) It will be the most significant parcel of green space for the City and the Greater Charlottetown Area. 2) Our members and the City’s Parks and Open Space Master Plan expect it to enhance the western entry point to the City. 3) Commercial and recreational boating organizations and the Parks and Open Space Master Plan all foresee the property contributing to water access and riverside protection. 4) Almost every contributor to our discussions expect environmental enhancement to result from re-establishing the Acadian Forest on the site. 5) The initiators of the Network, those who have signed on subsequently, and the majority of people interviewed for the Parks and Open Space Master Plan emphasize the need to promote passive green recreation. Most expect Upton Farm to answer these needs. 6) There is a clear preference for an extensive recreational area in lieu of a number of small, fewer amenities areas. Broad Picture Outcomes: The Upton Farm lands should be left as natural as possible, thus limiting both initial cost and long term maintenance. The current look should be maintained along the river edge, and the rolling hills should be put and maintained in as natural a state as possible. Upton Farm should be a place for the eye to feast, where every body can enjoy life together or alone, but always respectful of each other and nature’s wonders. Even within these constraints, the site is large enough to accommodate many uses. Both on the Network’s website and in submissions to the steering group, we have received a number of suggestions and proposals for using the site. Following are some which have survived many discussions. Our steering group believes that, handled properly, they need not be incompatible with the other potential uses. 1) At the extreme northern edge of the site, actually off-site, there may someday be an extension of the Charlottetown by-pass road to North River-Cornwall. At the proposed bridge access ramps is a natural bowl which could become an amphitheater for musical, dramatic, sports or similar events. This ‘installation’ should be without permanent structures and involve natural terraced ‘bleachers.’ While this use in itself may not be incompatible, we foresee many problems associated with access, parking, and moving of crowds between the site and downtown amenities. 2) Moving south, river access could be had for boats, when tide permits. 4) Approaching the north side of the Trans Canada Highway, the space should begin to take on its role as the entrance to Charlottetown, left natural but occasionally mowed, suitably treed, and used for green recreational activities. 5) Crossing the Trans Canada Highway, again forming part of the entrance role, and again left natural and mowed, we come into the area that could become a re-established Acadian Forest with accompanying wild flowers. The riverside should be buffered, and the forest, combined and managed jointly with the existing Beach Grove woodlands, will include pedestrian trails, along with appropriate wheelchair accommodation. 6) The development will be a long term undertaking, but the space will be inviolate from the time of its designation. 7) Until the new by-pass bridge is built, these two north-south aspects from the current Trans Canada Highway will be the western entrance to Charlottetown. It should be treated as cited above. Welcome signs, if placed on this land, should be innovative while at the same time limited, discreet and compatible. When a new bridge is built, the site and view from here will remain, but the entrance view for most arrivals will be the amphitheater and boat access site. They should be planned and treated accordingly. Access, Neighbors, and Buffering: For the sake of the site and neighboring uses, careful visual and vehicle control must be implemented. There could be two entrances off the Upton Road, one for the events amphitheater and the water access site, and one for the dog area and green recreational area abutting the north side of the Trans Canada Highway. Treed buffering and possibly fencing may come into play to separate some activities from others, while shared access and parking can be accommodated. There should be no access to any part of the site from the Trans Canada Highway. The south section of the site should have three access points. Two would be from the Maypoint Road, one possibly the same place as now, by the electrical utility station and the other by the RCMP compound. The third could be from the Beach Grove Road, and would be both a service road for the PEI Forestry Division and access for recreational users. All parking lot perimeters and road frontages would have natural screening by means of Acadian Forest plantings. Where fencing is needed, it would be made unobtrusive by this same means. Development Process, including transitional: the Network endorses the process of discussion and negotiations which have been proposed, but would suggest that a time frame be established to work towards. We believe that a sound development can be built upon the framework presented above, including a certain amount of give-and-take. We trust that City, Provincial, Federal (perhaps represented by ACOA) governments will participate, along with Canada Lands and ourselves. The intent of these talks may be broad strokes, but the principles and guidelines for the type of usage must be binding. The plan should define limits on any use not strictly compatible with green infrastructure, passive parkland recreation, and environmental enhancement. It will also be important to assign responsibilities for development, for watchdog functions, and for maintenance. The Network believes that a Development and Continuing Care Agreement, including as signatories all of the parties cited above, should result. In the interim, there should be no uses take place anywhere on the site that have not been permitted in the recent past, since these might be seen to establish a trend, or even to dishearten some people with expectations of a new direction. Certainly, no short term events should be considered that could have lasting detrimental effects, or that could raise expectations for more of the same. Interim allowable activities could include cropping, walking, dog walking, sustainable forest practices (including buffering), and water access at points where the shore would not be harmed. There are assumptions all around as to eventual ownership of Upton Farm Recreational Park. Careful thought must be given to the requirements incumbent on ownership including financial wherewithal to develop and protect it, access to partners with expertise needed, the political insularity to withstand momentary pressures, and the ability to seek and maintain a broad and long view. Given an appropriate Master or Framework Agreement coming out of the upcoming consultations, we believe that Canada Lands best fits all of the requirements noted. In the event Canada Lands does not regard itself as the appropriate participant, we would recommend that an independent trust, such as Island Nature Trust, be given this role. The federal partners of Canada Lands or the trust could include ACOA , the National Parks Service, and Fisheries and Oceans. Its main provincial partner would be the PEI Forestry Division; its municipal partner would continue to be the Department of Parks and Recreation and The Network. We fully intend to maintain a watchdog and gadfly role and protecting the usually silent majority. We provide this document with the hope that all partners will want to act in accord with its intentions. This entry was posted on May 19, 2008 at 4:59 pm and is filed under Raising Awareness, You can help. You can follow any responses to this entry through the RSS 2.0 feed. You can leave a response, or trackback from your own site.